Braun is a trusted name in the world of electric shavers and they are constantly developing new technology to make their products as effective and comfortable as possible. Their newest shavers are no exception, the Braun Series 9 is currently the gold standard for electric foil shavers. 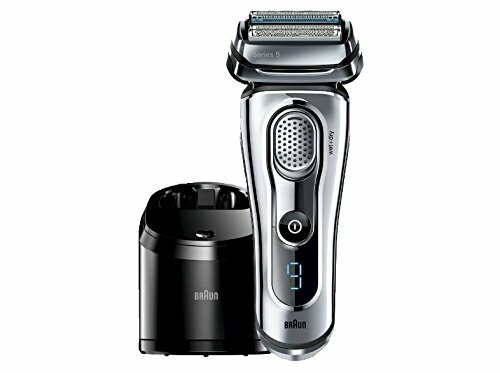 With the release of the Braun Series 9 shavers, Braun claims to have created their most efficient and comfortable electric shaver ever. Based on our results, they may be right. This is their top-of-the-line series of shavers and it includes their newest and most innovative features. Using a combination of advanced technology and refinements to their Series 7 shavers, Braun has developed a truly remarkable lineup of foil shavers with the Series 9. Examine the rest of this review to get more details or go ahead and purchase one today – we chose the Braun Series 9 9090cc as the best option, but you might prefer one of the other two models after reviewing their features. Braun pulled out all of the stops when creating the Series 9 shavers. They included the Intelligent Sonic Technology that can be found in the Series 7 models and added a couple of new features. This includes the Syncro-Sonic Technology and the HyperLift and Cut Trimmer. All of these technologies can be found in all Series 9 shavers. The Syncro-Sonic Technology is designed to create a quadruple action cutting system. Using 4 cutting elements and the Intelligent Sonic Technology, the Series 9 shavers perform 40,000 crosscutting actions per minute. This dramatic increase in the performance over the previous series allows for a more comfortable shave and less razor burn. 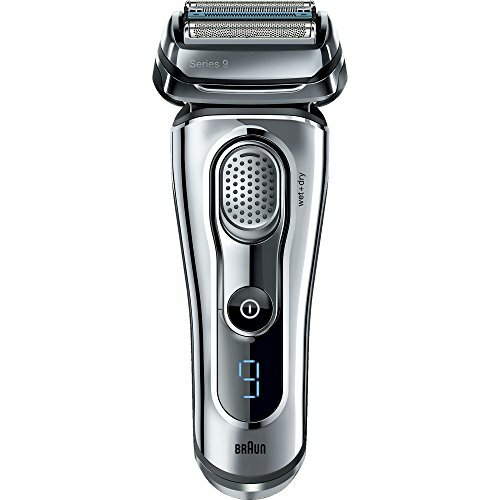 Braun claims that you can use the Series 9 shavers on a 3-day beard. We have found that these improvements are significant if you tend to go more than a day without shaving. With the Series 7 or Series 5, it could be uncomfortable shaving longer stubble while the Series 9 has no problem with longer whiskers. Thanks to the Syncro-Sonic Technology, the Series 9 foil shavers are becoming a suitable option for any guy. Users who may have turned to a rotary shaver for dealing with your thick hair can finally make the switch to a foil shaver and get a closer shave. The other new technology placed in the Series 9 shavers is the HyperLift and Cut Trimmer. This is another improvement on their Series 7 shavers. The HyperLift and Cut Trimmer helps lift and cut flat-lying hairs around your neck and chin. This can help to prevent ingrown hairs and give you a closer shave around the contours of your face. The HyperLift and Cut Trimmer combined with the Direct and Cut Trimmer help ensure you get every little pesky whisker and hair on your face. The Direct and Cut Trimmer is used for capturing hairs that grow in random directions. Along with the Syncro-Sonic Technology and the HyperLift and Cut Trimmer, you will find a few additional features. The Braun Series 9 shavers include an improved OptiFoil foil cover and Clean and Charge station. Like the Series 7, they also feature a pivoting shaving head, flexible cutting elements, and a battery indicator. The clean and charge station that is a familiar accessory for Braun electric shavers is available with two of the Series 9 models. The clean and charge station is designed to charge, lubricate, and clean your shaver with a single touch of a button. For those that have never used the clean and charge station before – it is sometimes more trouble than it is worth but you have the option of washing the Series 9 manually as well. You will find that these three models are fairly similar, but after you examine them a little closer, there are a few differences. First, look at the features that are common to all three models. All three models share similar features, including the innovative technology that allows these shavers to offer such as comfortable shave, with some minor variations in additional features or accessories. Take a closer look at the three models and explore their main features. The Braun Series 9 9095cc is the top model in the Series 9 lineup. It includes wet and dry technology and comes equipped with the clean and charge station. Despite being the top of the lineup, it has the same MSRP (manufacturer suggested retail price) as the other Series 9 shavers. This top of the line model includes both wet and dry technology and the clean and charge station. Currently, most Series 9 models were offered for around the same price, making the 9095cc the best choice if the price difference is small. The Braun Series 9 9093s is very similar to the 9095cc, also featuring the ability to use the shaver in wet and dry conditions. This model does not include the clean and charge station requiring you to manually clean and lubricate the shaver. The Series 9 9093s is nearly identical to the 9095cc, without the cleaning station, and for that reason, we would recommend getting the 9095cc for the minor price difference. Our pick from the Series 9 is the 9090cc, which does not include the wet and dry option but does include a cleaning and charge station. Opinions are mixed on if the cleaning stations are necessary, as they do add a recurring cost for the cleaning cartridges. We did find the convenience of having the shaver completely clean and lubricated to be effective at saving time and ensuring the best shave every time. If you typically shave in the shower or use shaving cream with an electric shaver you should consider the previous two models, the 9095cc or 9093s instead. If you do not have to deal with shaving a wet face, then the Series 9 9090cc may be a good option for you. For the Series 9 foil shavers, Braun has included a few new innovations,Syncro-Sonic Technology and the HyperLift and Cut Trimmer, to help make all three models more attractive over previous models. But, should you choose it over the Series 7? We believe that the shave quality is slightly better with the Series 9, but would probably still choose the Series 7 due to the lower price, smaller size, and similar shave quality. If you want the latest and greatest you will not be disappointed with the Series 9 shavers, which live up to their goal of being the best foil shaver on the market.